By Alistair Reign, March 11, 2017 (Updated 12th). Alistair Reign News Blog. Updated on March 12th: Hundreds of protesters gathered near the Dutch Embassy in the Turkish capital Ankara, despite the street where it is located being sealed off by police. 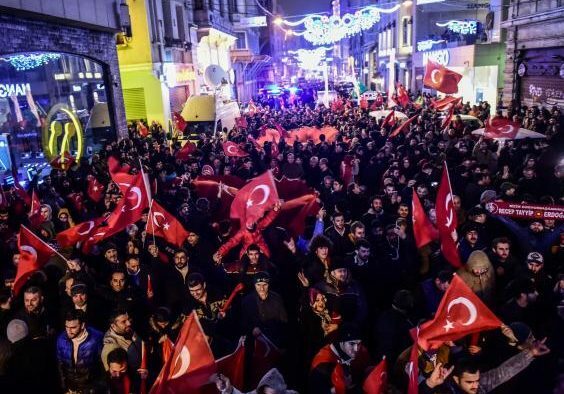 Demonstrators waved Turkish and Ottoman flags, shouted anti-Dutch slogans and some threw eggs, according to state-run TRT Television. Mr. Ed Husain, a political reporter and author, tweeted images from the protest held Saturday. Terrorists roam freely in Europe. PKK gatherings protected by police. Clearly outraged by his plane being refused landing clearance, Turkey’s Foreign Minister Cavusoglu tweeted the following messages, among several other remarks, all directed at the Netherlands’ government. We did not send our people to the Netherlands to become their captives. After his rejection by Dutch officials, Turkey’s foreign minister made his way to Metz, France, where he was welcomed by Pro-Erdogan counterparts and supporters. 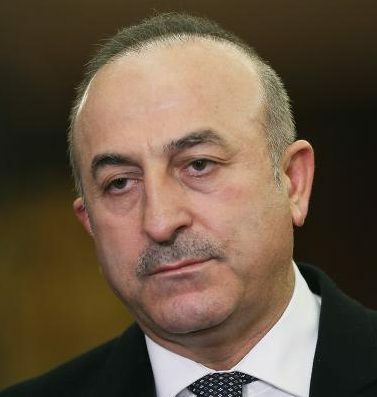 The Netherlands has withdrawn permission for a plane carrying Turkey’s Foreign Minister, Mr. Mevlut Cavusoglu to land in the country to speak at a rally supporting expanded powers for current president, Recep Tayyip Erdogan. In response, the Turkish President compared the Dutch government to “Nazis” when addressing a rally of supporters in Istanbul – only days after using the same label against the German government over rally cancellations. Turkish authorities have sealed off the Dutch embassy and consulate, citing security reasons, sources at Turkey’s foreign ministry have said. Turkey closed off the residences of the Dutch ambassador, the head of the embassy and the consul general as tensions between the NATO partners escalated. 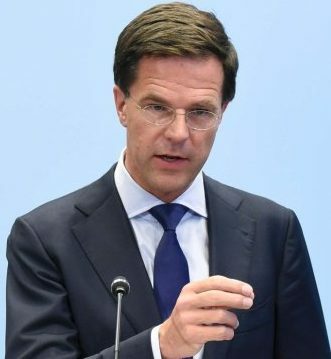 Mr. Mark Rutte, Dutch Prime Minister. Mark Rutte, the Dutch Prime Minister, called the remarks “crazy” at a campaign event. “I understand they’re angry, but this of course was way out of line,” he added. A spokesperson for the Dutch government said the move was taken because of “risks to public order and security” caused by the proposed visit by Mevlut Cavusoglu to Rotterdam on Saturday, March 11th. It was the latest of a series of prohibitions on campaigning in Europe by Turkish leaders drumming up support among the country’s expat voters, including several in Germany. Turkey summoned the Dutch charge d’affaires to the foreign ministry in Ankara as the dispute continued on Saturday. It came just days before the Netherlands goes to the polls in parliamentary elections on March 15th. Mr. Mevlut Cavusoglu, Turkey Foreign Minister. At least four German local authorities have withdrawn permission for pro-Erdogan campaign events, as well as areas of Austria and Switzerland. Allies of the Turkish President are targeting more than a million Turkish voters living in Europe who will be eligible to cast a ballot in the vote on April 16, 2017. The referendum could see Turkey’s parliamentary system replaced with an executive presidency using constitutional amendments that have alarmed human rights groups. 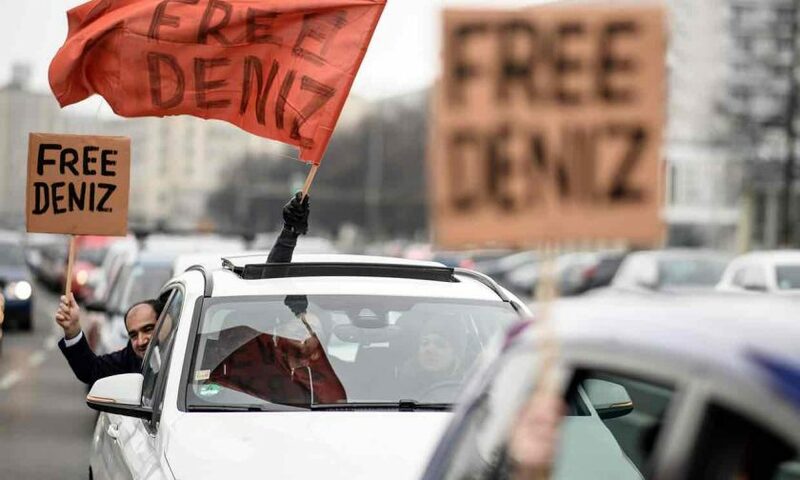 Protesters wave flags and hold signs during a motorcade on the occasion of the solidarity for Deniz Yücel in Berlin. (Photo: Clemens Bilan/ EPA). Journalist Deniz Yücel, along with four others, have been jailed pending trial on charges of propaganda in support of a terrorist organisation and inciting the public to violence. Authorities initially detained Deniz Yücel, a correspondent for Die Welt newspaper, earlier this year on the 14th of February after he reported on emails that a hacker collective claims they obtained from the private account of Mr. Berat Albayrak, Turkey’s energy minister – and the son-in-law of Turkey’s president, Mr. Erdoğan. On Monday, an Istanbul court ordered Deniz Yücel, a dual citizen of Turkey and Germany, to be jailed pending trial, Reuters reports. He is the first German reporter to be held in a widespread crackdown that has followed last year’s failed July 15th coup in Turkey.